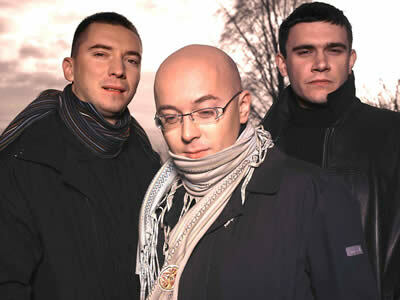 From the forefront of the European jazz scene comes one its leading piano trios. 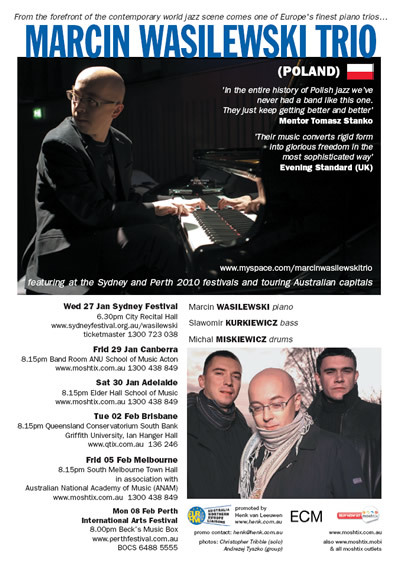 These three exceptional young musicians honed their skills working with Poland’s iconic trumpet star Tomasz Stanko and have emerged as a potent force at the forefront of contemporary European jazz trios, with a brace of critically acclaimed albums for the renowned ECM marque. 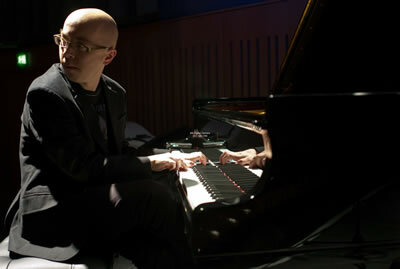 Marcin Wasilewski’s feathery touch on piano, combined with slow transitions and subtle interaction between players Michal Miskiewicz (drums) and Slawomir Kurkiewicz (double bass) creates a bewitching sound – balanced, complex and delicate.